With all this talk about brewery expansion, it’s easy to forget that opening your first brewery is no easy task. Unfortunate inspection delays have caused the Vice District Brewing Co. to delay its opening day, pushing it back from last Friday, Aug. 22, to this Friday, Aug. 29. Doors will still be opening at 4 p.m. CST. Vice District Brewing Co. occupies a landmark building and pays homage to the history of the area. Opening day beers will include a Black IPA, Extra Special Bitter, IPA, Blonde and Molasses Porter, as well as a special collaboration release with Finch’s. 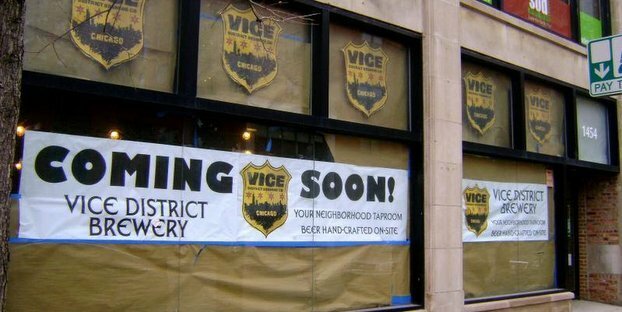 Vice District Brewing has hit the PR circuit hard, touting its opening, taproom and head brewmaster. It’s always disappointing when the hard work and excitement is delayed with business issues that are often frustrating. To make sure you have all your business bases covered, don’t miss our in-depth Business and Marketing section where we dive into the issues to keep you brewing productively.